This post is a follow-up on the Christmas music and Nostalgia post, and the last Christmas-related post of the season. I promise. I'm going to examine a news story sent to me by one of my readers about writing new Christmas songs. The audio version of the story is longer than the written version you'll find at the link, but the basic idea is this: A band named Office Romance talks about their experience writing new holiday songs. They mentioned a few problems: decoding what musically makes something a Christmas song, penning lyrics that are fresh and new, and trying to appeal to everybody. I agree that there are certain musical sounds that frequently appear in holiday songs. Maybe not always sleigh bells, but certainly bell references, glockenspiels being the most ubiquitous. I do think it's interesting that the musician interviewed stopped short of specifying any other signifiers, because that's about as far as I've gotten in my analysis, too. I'm convinced there are other musical things that signify Christmas, but I'm still trying to figure those out. Maybe next year. I think the main problem in writing a new holiday song is that the lyrical themes are so hackneyed, and that is exactly what I heard in story's musical examples. Good songs create emotional packets that BOTH make people think "Oh, I haven't really heard it that way before" AND are musically memorable. There is a short cut: if you were really having trouble with new words, you can also take well-known words and attach new memorable music. Religion is one way to access emotions, and if you rule out religious songs, creating emotionally moving music is that much harder. Bill Cosby once said "I don't know they key to success, but the key to failure is trying to please everybody," and I think these featured songs prove that. In trying to create a song that appeals to everybody, Office Romance has created songs so generic that they won't have any lasting value. I would write a parody Christmas song with a list of generic Christmas symbols as lyrics, but there are already several out there (which are not meant as parodies). Also, if make your Christmas song's music be like other Christmas songs (Office Romance's apparent goal), how is that going to be memorable? I'm not saying that songwriters should avoid musical symbols of Christmas, but throwing in as many as possible could be dangerously generic. But I don't think Office Romance is totally to blame for their generic music and unimaginative lyrics. As they wrote their songs, they mentioned bringing in music supervisors. Why? Well, music supervisors are now more important than ever. As CD sales plummet, people get music illegally, and online streaming services pay less in royalties, getting songs placed in movies and on TV is one of the few ways that artists can definitely make money. But I think this story illustrates the problem pitching to a music supervisor creates. Music supervisors are not normally artists looking for new ways of expression; they are instead looking for something similar to what they know already works. So, it is very easy for music supervisors to say "we need this and this" in a song, leading to flat and unimaginative music. Giving the artists complete artistic freedom or at least some collaborative give-and-take instead of dictating would most likely yield better results. At the same time, it's more risky. But that's art, isn't it? You never know when your work is going to connect or completely go over someone's head. What musical sounds do you think signifies holiday songs? Care to suggest what you think makes a great song, holiday or not? 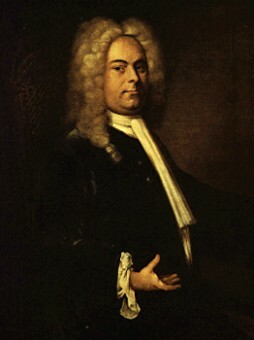 I want to follow up from last week's post about Handel's Messiah and talk a little more about the Handel's music itself. Messiah has one of the best examples I know about how the musical form can effect the meaning of music. Much music commentary focuses on lyrics, yet focusing on lyrics at the expense of music gives an incomplete picture, since music also communicates meaning. This example is the first thing people hear when they go to a Messiah performance—the overture (which has no lyrics). Overtures today are normally associated with musicals or operas, and feature themes from the songs we are about to experience. This was not always the case, however; 150 or 200 years ago, the overture was just more music played by the orchestra to get the audience's attention before the show started, without any connection to the music in the show. Messiah's overture is one of the older kind, and features music not heard elsewhere in the work. The overture is at first generally slow with prominent dotted rhythms, meaning that instead of having the beat divided into two equal parts, the second half of the beat is delayed by at least 3/4 of the beat value. This slow section is followed by a fast, imitative section where a new theme is passed around from section to section. This type of slow, dotted-rhythm-laden overture followed by a faster, imitative section has a name: a French overture. 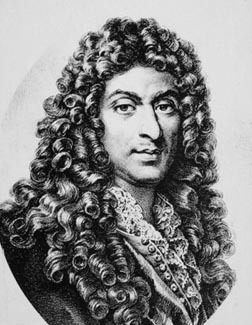 French overtures were first introduced by Jean-Baptiste Lully, the court composer for the French Sun King, Louis XIV. * As you can image, the Sun King liked to make a grand entrance, and so when the he went to an opera or ballet, he wanted his entrance to be part of the performance. The first part of the French overture was his entrance music: slow, grand, and majestic. After the king was seated, the faster section began. Now, the French overture became popular all over Europe, but Handel, writing Messiah almost one hundred years later, did not need to use it. Messiah was not written for a king's court, but for public performance. Yet, Handel made a decision to use the French overture. Why? Well, the French overture was written for the symbolic entrance of King of kings, who is the subject of Messiah. When seen this way, Messiah's overture is not just a bit of introductory music, but a pointed and powerful religious commentary. And Handel conveyed all this without using words. What songs or other music do you know that conveys meaning without lyrics or where the music changes the meaning of the lyrics? *Yes, this is the same Lully who died from a gangrene-infected wound caused by his conductor's staff. In his day, instead of waving a baton to keep the time, conductors beat it on the ground, so stabbing your foot with one makes a little more sense. You'll find this week's post on the Modern Mormon Men blog. Continuing the Christmas theme, I speculate why members of the Mormon church like Handel's Messiah so much. I hope you enjoy it, and the proliferation of M's involved. 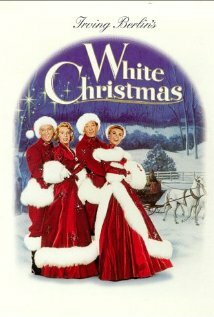 Continuing the theme of holiday songs and their power, this week I thought I would write about one specific way these songs impact society: the movie industry. Often, people try and capitalize on the power of popular songs, even if the meanings those people want conveyed are completely different than the song's original meaning. The classic example is politicians using Bruce Springsteen's "Born in the USA" for their own promotion, even when the song is really an ironic and negative commentary about the negative effects of the Vietnam War. This year, we've got an addition to this list, this time in the Christmas Horror genre: Silent Night. (Note: it's supposedly a loose remake of Silent Night, Deadly Night (1984)). Aren't you excited? No? What is the take-away from this? Well, music can give words extra power and meaning by association, but that extra power and meaning may not always be constant. In other words, added music makes makes words perhaps more multivalent (or open to many interpretations) than words alone. Especially when those words are taken out of context. 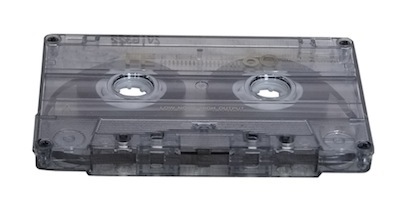 I used to make music mixes for my friends all the time, first with cassette tapes, then with CDs. One of my favorite was a Christmas mix tape. With Christmas music in the air, I thought I'd revisit the idea of a Christmas mix and give a few personal suggestions. It's mostly choral music, but choral music is itself a Christmas tradition—as in "Yuletide carols being sung by a choir." Christmas is when choral groups know they can get an audience. "O Magnum Mysterium" (Morten Lauridsen). Though almost everything Lauridsen writes sounds the same, this is the first (and best) one. "You're a Mean One, Mr. Grinch" (from the Grinch who Stole Christmas Soundtrack). "I wouldn't touch you with a 39.5-foot pole." 'Nuff said. "Christmas at Sea" (Sting). From Sting's album If On A Winter's Night, it's one of the few songs on the album with original music, to words of Robert Louis Stevenson. It's Celtic meets Christmas in the best way. "Simply Having a Wonderful Christmas Time" (Paul McCartney). I know it's cheesy, but it's hard for me not to be happy listening to this song. "What Cheer?" (William Walton). Short, but so catchy and English. "Gaudete" (traditional Dutch, arr. by the King's Singers). Latin, high energy carol from probably my favorite Christmas album, the King's Singers A Little Christmas Music. "The Twelve Days of Christmas" (The Muppets). I may have chosen this one simply because of nostalgia. And "Five golden rings." "The Wexford Carol" (traditional English, arr. by the King's Singers). A beautiful, lesser-known carol, also from A Little Christmas Music (I allow myself two songs from the same source per mix, but that's it.). "Jesus Christ the Apple Tree" (Elizabeth Poston). A somewhat strange, beautiful choral piece. Try blasting it in your car stereo. "Chiron Beta Prime" (Jonathan Coulton). A Christmas card sent from a family in a work camp run by robots on an asteroid. By the way, Jonathan Coulton has a new Christmas album out, which you can check out here. Though I cannot endorse it, as I have not listened to it yet. Also, it doesn't have "Chiron Beta Prime" on it. Are music mixes going out of fashion, or do you enjoy making them? What would you include on your Christmas music mix?